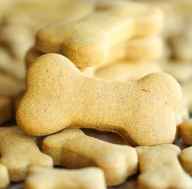 Remove from oven and let cool completely then treat your pup to a snack! Your pups are ready to enjoy “cookie time”! !